A “mockumentary” about (very) old-fashioned vampires living in a modern world. Fans of HBO’s Flight of the Conchords (which also stars Jemaine Clement) will love the similarly understated, dry humor of the film. 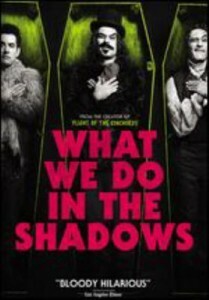 Equally satirical of pop culture’s current love affair with the undead and our obsession with reality television at the expense of our privacy, What We Do in the Shadows has the making of a cult classic. Roderick Fitzgerald (Ray Milland) and his sister Pamela (Ruth Hussey) move to a house on the English coast. Young Stella (Gail Russell), who was born in the house, can’t enter it without being terrorized by a malevolent ghostly presence. As Roderick and Pamela become more determined to uncover the secrets of Stella’s past (as Roderick finds himself falling for her), the ghostly apparitions intensify, culminating in one terrifying night. 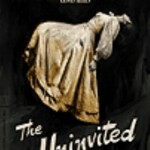 Roderick, a composer, plays the movie’s theme, the haunting “Stella by Starlight.” The Uninvited is a good old-fashioned ghost story. She is approached by Robert Malory, a boarding school teacher, to investigate the death of a student and to determine if it was related to seeing a ghost. She travels to the school and at first thinks the ghostly sightings are a prank played by the boys at the school. But as she continues her investigation, science fails to give her answers to the unexplainable supernatural events that manifest and entrap her. Rebecca Hall, Imelda Staunton, and Dominic West star in The Awakening, a delight of a horror story! The Haunting, starring Liam Neeson, Catherine Zeta-Jones, Owen Wilson and, Lili Taylor, is a combination of horror, fantasy and mystery. Three people are lured into participating into an insomnia experiment but what is actually an experiment in fear. The experiment takes place in a creepy mansion. However, not even the professor conducting the experiment knows that the house is haunted. creepy, the special effects are wonderful, and there is a mystery to be solved. I have noted there is a lot of criticism of this movie because it is unlike the 1963 film. 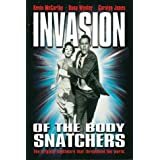 In the 1963 movie you don’t actually see the ghosts and critics of the 1999 film say the 1963 film is better because you have to rely on your imagination. However that is only true if you don’t like the way the director of the 1999 film imagined the ghosts andother effects which are much more visual. Others criticized the acting with the exception of Lili Taylor’s performance. Taylor gives the best performance, Liam Neeson and Catherine Zeta-Jones are good. I would have to say I would have preferred someone else in the Owen Wilson role, either someone more handsome or more sinister and perhaps even changed the character. film will give you a bit of a fright. In 19th century France, Magistrate Simon Cordier (Price) sentences a man to death for committing several murders. The murderer claims that he did not recall the murders and that he is possessed by an evil being called the “Horla.” While speaking with the magistrate, the murderer suddenly becomes demented and attacks him. During the struggle, the murderer dies. A short time after this, the horla begins visiting the magistrate. The horla is an interesting monster. He is invisible, physically quite strong, has the ability to read minds, and can bend the will of his victims. And usually, the Horla wants his victims to kill others. Nancy Kovack plays the female lead in this film. She appeared mostly on television shows in the 1960s and 70s. Her biggest movie role was in Jason and the Argonauts as Medea. In Diary of a Madman, she plays Odette, a schemer married to a promising but poor artist. Odette wishes to advance her station and pursues the magistrate. Vincent Price gives a very admirable performance. He is much more restrained in this role than in many of the other films he made at this time, and I felt great empathy for him and found myself rooting for him to defeat his powerful foe. The photography in this film is beautiful. In addition to the rich color, I loved the sets and the costumes. I recommend this film, which is new to our collection. The Oscar-nominated movie is based on the book and the play with the same title. It follows both fairly closely with the exception of the ending. Most of the actors were performers in the play before doing the movie. I won’t describe the plot at all because the movie is much more enjoyable if you don’t know what’s going to happen – don’t even read the back cover. Don’t be put off by our description of the film as a “horror film.” You won’t find any monsters or vampires or witches or even the devil in this movie. You won’t even see a drop of blood. What you will see is some great acting, a film that will make you cry and make you laugh, some very suspenseful moments, and a very unusual ending. Although Henry Jones did not get an Oscar nomination, he plays one of the most memorable characters I have ever seen and he has some of the most memorable lines. 10-year-old Patty McCormack gives a brilliant performance. In fact, all of the actors (including Nancy Kelly, Evelyn Varden, and Eileen Heckart) give wonderful performances. If you haven’t seen this film before, do so; and if you can, watch it with someone else as the story is a very thought-provoking as well as entertaining. This Tim Burton film starring Johnny Depp and Christina Ricci borrows characters and the setting from Washington Irving’s The Legend of Sleepy Hollow, but otherwise bears no resemblance to the story. Although I am usually unhappy when Hollywood drastically alters a classic, I was happily surprised with this film. Depp plays Ichabod Crane, a New York City police detective rather than Irving’s schoolmaster. The time is 1799. Crane is despised by the New York authorities because he uses scientific methods to solve crimes as opposed to the old-fashioned methods of beatings and torture. To get him out of their hair, he is sent to Sleepy Hollow to investigate three grisly murders. All of the victims have been decapitated. 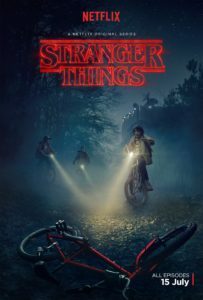 The film is very atmospheric and you get the feeling of gloom that sets in during the late fall after all the leaves have fallen from the trees, the days are short and dark, and winter will soon arrive. The Oscar nomination for best cinematography is well earned. Sleepy Hollow is not for young children or sensitive viewers as there is a lot of blood and gore, but everyone else should enjoy this film – especially if viewed in late October or early November and of course at night.